Live in the heart of Wicker Park by renting these apartments on Six Corners. These one bedroom apartments for rent at 1550 N. Damen are model units in this neighborhood. These apartments for rent are the epitome of loft living featuring 20-foot ceilings, in unit washer and dryer, hardwood floors, window coverings and stainless steel appliances in the modern kitchens. You couldn’t have easier access to public transportation. The CTA blue line’s Damen train station is literal steps north. You have access to three bus routes: North Ave, Damen and Milwaukee Ave. A half block south of these apartments for rent is the neighborhood’s namesake: Wicker Park. You’re also steps from Big Star, Dove’s Luncheonette, Stan’s Donuts, Subterranean, Furious Spoon, the Flatiron Arts Building, Links Taproom, Myopic Books, The Wormhole Coffee shop, The Violet Hour and many more bars, restaurants and nightlife. 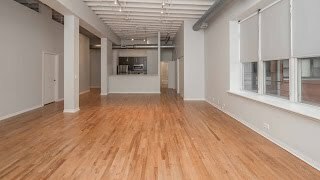 Visit these luxurious apartments for rent at 1550 N Damen today.